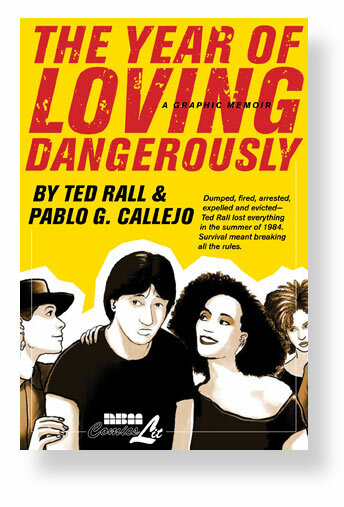 If you’re going to the Alternative Press Expo in San Francisco the weekend of October 17th, then make sure to stop by the NBM table to meet Ted RALL selling his last few premier copies of The Year of Loving Dangerously (book due in stores mid-Nov.) as well as Shane WHITE signing his just released Things Undone. Both will have other books of theirs, of course, as well as a smattering of our recent titles to sell! Better yet, credit cards accepted. So there, now you gotta go. Next Next post: Author Shane White to Appear Naked as an A.P.E.